If you believe that Lean is about operation effectiveness, you most likely would fail on creating a sustainable superior performance. Michael Porter, perhaps the world’s most known business-school professor, in his “What is Strategy?” paper, clearly stated that Lean and other operation effectiveness practices are not competitive advantages. Professor Porter is right when states that Operation Effectiveness is not a competitive advantage but wrong about defining Lean as Operation Effectiveness, a common mistake made by even lean practitioners. Porter defined Operation Effectiveness as “performing similar activities better than rivals perform them”. He expanded by adding “It refers to any number of practices that allow a company to better utilize its inputs by, for example, reducing defects in products or developing better products faster”. If you believe that the Toyota Production System or Lean, a term coined by James Womack after studying Toyota, refers to these "number of practices" or "lean solutions" to gain operation effectiveness you are making a common but fatal mistake. Here is some data. In 2007, an IndustryWeek study showed that only 2% of the companies implementing lean manufacturing have fully achieved their objectives and 74% recognized not making good progress. And not long ago, in 2010, after several awarded companies by the Shingo Prize for Operational Excellence failed to sustain their Lean transformation and even filed for bankruptcy, the award committee recognized its selection criteria required adjustment. In fact, if you believe that the core of a lean transformation is operation effectiveness you might speed your own demise. mistake-proofing solutions confusing them as the source of sustainable superior performance. This is what I call the "wrong" lean. If your lean transformation efforts are oriented to implement "lean solutions" on the idea that these solutions will recreate the competitive advantage that we see in Toyota or Southwest Airlines, your changes for success are as good as 2%. I wish you the best of lucks. You will need it. 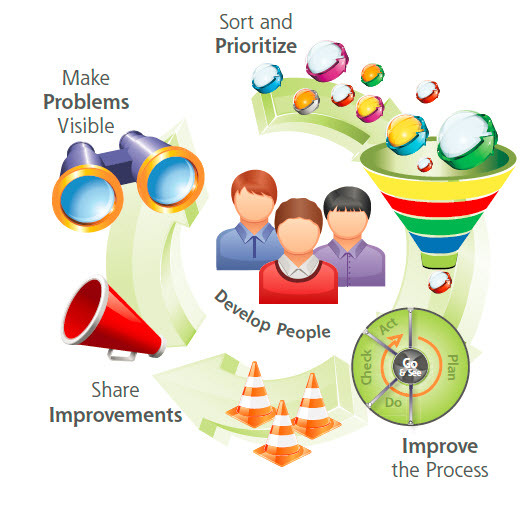 The term "transformation" in lean transformation does not refer to changing your operation processes but to change your people dynamics and capabilities to identify, prioritize, solve problems and share improvements continuously which is the source of competitive advantage of a lean organization. 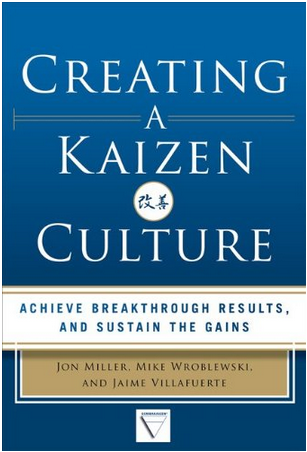 This is what I call the "right" lean or "kaizen culture"
For instance, Southwest Airlines practices to delivery low-cost and convenient service such as quick plane turnarounds at the gate are not the source its competitive advantage but how its people are organized to identify these practices and execute them. In the same way, Toyota superior operation effectiveness is result of how its people can continuously deliver reliable, high-quality and low-cost automobiles faster than its competitors. Lean transformation is about managing "people learning" instead of implementing "lean solutions." Companies with sustainable superior performance such as Google, Southwest Airlines and Toyota have one common denominator: Processes that allow harvesting their people ingenuity and energy better than their competitors. Southwest Airlines cost advantage derives from very capable, productive and motivated employees who look for ways to survive and thrive in an industry plague of bankruptcies, no barriers to entry, many substitute products and non proprietary technology. Google's constant innovation is driven by an organizational environment that allows people to be creative and focused. These companies are managing their transformation by leveraging their people capabilities instead of spending effort on copying solutions. 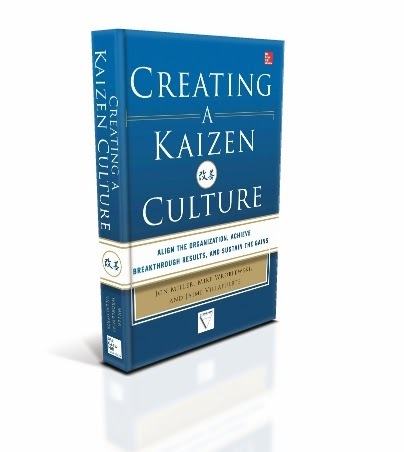 What lean are you doing: "wrong lean" or the "kaizen way"? Thanks for reinforcing what I concluded long time ago. SS is even worst. Yeah dear author you are right in some meanings, but your learning is only proves effective when you turn your learning into implementations.Nice to read your blog . Absolutely John! Effective learning requires actual experimentation and implementation. Real learning only happens when things are implemented. This is my first time i visit here. I found so many entertaining stuff in your blog. Keep up the good work. 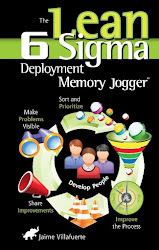 Six Sigma is important because it scores much higher over other quality improvement techniques such as TQM. Thanks, You wrote awesome, I have learn lots of things from your article. Its really helpful for any readers. Lean Six Sigma Green Belt Training will help you avoid implementing other people’s pet solutions and as well as random activities. Learning is sharing and sharing is a communal reflection toward expanding the boundaries of our individual understanding. Join me in this space to reflect about the thinking and implementation of a meaningful lean. 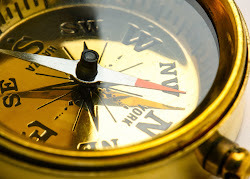 Creating Leaner Value Streams: Are the pacemaker and the bottleneck the same? What can we learn from Medtronic Plant in Jacksonville, FL? Blog contents © 2009-2012 Jaime Villafuerte. Simple theme. Powered by Blogger.